You probably hear a lot about the biggest marijuana stocks that are sizzling hot right now. 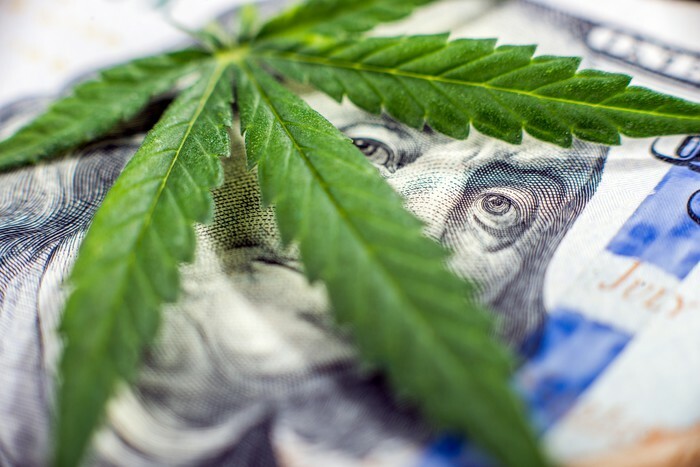 But several other marijuana stocks are also performing really well so far in 2019, including The Green Organic Dutchman (NASDAQOTH:TGODF) and Green Thumb Industries (NASDAQOTH:GTBIF). The Green Organic Dutchman is up nearly 40% year to date, while Green Thumb Industries stock has soared over 50%. Which of these two lesser-known but high-flying marijuana stocks is the better pick for investors? To succeed in the Canadian marijuana market, a company must have ample production capacity and a solid distribution network. The Green Organic Dutchman (TGOD) might not fully check off both boxes yet, but it's in a good position to do so in the near future. TGOD's Hamilton, Ontario, beta facility currently can only produce the annualized equivalent of around 1,000 kilograms of cannabis. By the third quarter of this year, however, the company expects the facility to have an annual production capacity of 17,500 kilograms. That's small compared with TGOD's other facility in Valleyfield, Quebec, that's under construction. The Valleyfield facility will be the world's largest organic cannabis facility when fully completed. TGOD expects the facility to achieve an annualized run rate of 65,000 kilograms by the fourth quarter of 2019 and ramp up to 185,000 kilograms per year by late 2020. The company's total capacity puts it on track to rank among the top five Canadian marijuana producers. TGOD already has a partner to distribute the cannabis it will produce. It teamed up with Velvet Management, which was formed by Canada's largest wine distributor, Philippe Dandurand Wines. This partnership gives TGOD a distribution network across Canada. The company also recently secured a supply agreement with Ontario, Canada's most-populated province. What about outside Canada? It's still early, but TGOD appears to be in good shape. It's entering the Jamaican medical marijuana market through its partnership with Epican. The company formed a joint venture in Mexico, which already allows legal medical marijuana and could soon also legalize recreational marijuana. It owns hemp cannabidiol maker HemPoland. TGOD also has a joint venture in Denmark. While TGOD focuses on Canada and selected international markets, Green Thumb Industries (GTI) is targeting the biggest market of all -- the United States. GTI claims operations in 11 states that have legalized medical marijuana, recreational marijuana, or both. At least three of the states where GTI conducts business already are expected to have marijuana markets of $1 billion or more by 2022. Some of these states are brand-new markets for GTI, though. The company made a couple of key acquisitions in January to enter the medical marijuana markets in Connecticut and Florida. GTI also recently won production or processing licenses in Ohio and New Jersey and retail licenses in New Jersey and Pennsylvania. One key advantage for GTI is that it's involved in the entire supply chain, including cultivation, production, wholesale, and retail. The company currently has 13 cannabis production facilities. GTI also holds 83 retail licenses. As of the end of 2018, it operated 17 RISE and Essence cannabis retail stores. GTI should have plenty of room for growth in the states where it currently operates. These states have a combined population of 146 million people. In addition, the company has opportunities to move into additional states. The company might be flying beneath the radar screen for many U.S. investors -- but not for billionaire investor Leon Cooperman. GTI was one of three marijuana stocks that Cooperman personally invested in last year. My view is to go with the company that has a bigger addressable market and less significant competition. And that company is Green Thumb Industries. GTI's potential market in just the 11 states where it currently operates is a lot larger than TGOD's market opportunities. TGOD competes against larger rivals with bigger market shares, production capacity, and partners. GTI, though, operates in a market where no one company has a market share of even 1%. There could be plenty of volatility and bumps in the road for Green Thumb Industries in the future. But I think it's clearly the better marijuana stock between these two right now.